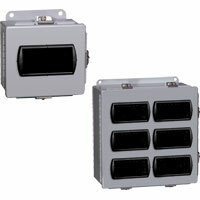 Weatherproof enclosures for mounting panel meters, indicators, and controllers. Control programming buttons are easily accessible by just opening the front cover. Protects controls from dirt, dust, oil and water. 1/4 DIN Control Enclosure is the perfect housing for indoor and outdoor applications. Protects controls from dirt, dust, oil, and water. Features include a lockable latch to prevent tampering with hardware. 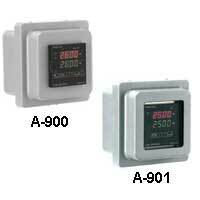 Panel Meter Enclosures are available in Low-Cost Plastic, Plastic, Stainless Steel, and Steel.